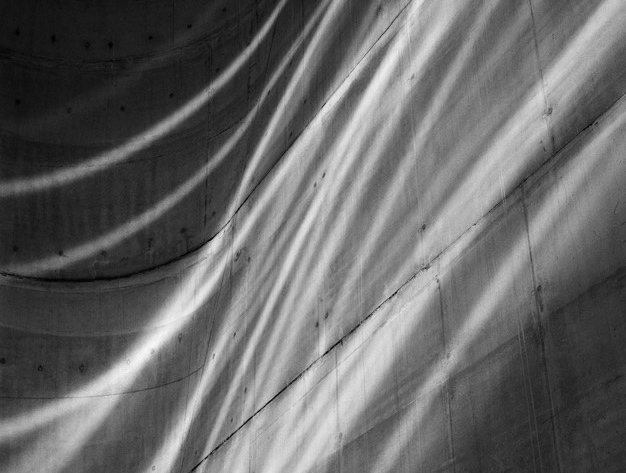 From April 19 to July 21, 2019, Shanghai’s Power Station of Art will present Hélène Binet: Dialoghi, works from 1988 to 2018, the French-Swiss photographer’s first solo institutional exhibition in China. The exhibition will offer a comprehensive overview of Binet’s accomplishment in more than 100 works of analogue photography, including some of the most iconic photos taken throughout her 30-year professional career and her newly commissioned series featuring the walls of Chinese Suzhou Gardens. This exhibition will also be accompanied by the first monograph on Binet to be published in Chinese. Marking a new direction of PSA’s “Architecture & City” exhibition and research program, Dialoghi (Dialogue) will open up a new standpoint for viewers to approach architecture through the art of light and shadow. Born in Sorengo of Switzerland in 1959, Hélène Binet grew up in Rome, Italy. There, she studied photography at the Istituto Europeo di Design, and worked briefly at the Grand Théâtre de Genève after graduation. After moving to London in the mid-1980s with her husband, architect Raoul Bunschoten who was teaching at the Architectural Association, Binet gradually turned her attention to architectural photography, and soon acquainted herself with a list of emerging architects in the British capital, including Zaha Hadid. Encouraged and recommended by Alvin Boyarsky, then Chairman of the Architectural Association, and other fellows, she headed to Berlin for her first project and rose to become one of today’s foremost architectural photographers. Most of Binet’s photographic works focus on European modern and postmodern architecture, while recently starting to develop an interest in natural landscapes and classic Asian architecture. She remains one of the rare enthusiastic devotees to analogue photography. When describing Binet’s works, renowned Polish-American architect Daniel Libeskind once noted: “Every time Hélène Binet takes a photograph, she exposes architecture’s achievements, strength, pathos, and fragility.” Back in 1987 when first photographing John Hejduk’s Housing Project in Berlin, Binet almost immediately fostered an individual style that continues to define her works even today – cool, sharply composed, and highly simulative to viewers’ imagination towards space. She once said: “As photographers, our first gesture is to exclude.”Her photographs rarely present a neutral panoramic perspective on the built environment, but rather an expressive portrait that takes advantage of non-typical compositions to focus on skeletons of architecture and bring out general architectural concepts with structural and textural nuances, evocative of the abstract photographic style made famous by names including Lucien Hervé, RenéBurri and Judith Turner. The exhibition will look back at Binet’s 30-year career by showcasing her depictions of iconic works by acclaimed architects including John Hejduk, Daniel Libeskind, Sigurd Lewerentz, Dimitris Pikionis, Ludwig Leo, Le Corbusier, Peter Zumthor and Zaha Hadid. By emphasizing the echo between architect and architect or between architect and landscape, Binet divides her works from different series into groups of two or three to form “dialogues” featuring varying themes. For example, when documenting the Jantar Mantar Observatory in Jaipur of India, and the Convent of Sainte-Marie de La Tourette designed by Le Corbusier, she focused the lens on the sharp contrast between light and shadow formed on building façades to cross-examine the line of difference between divinity and scientific limits; whereas at the other end of the showroom, the ever-extending curves of Zaha Hadid’s signature works highlighted by Binet deliver echoing effects against the boundless Atacama Desert and Swiss mountain views, where lurks a primitive force that promotes the formation of surface structures.